Merger Accounting-SFAS 141-R	Are Checking Accounts a Viable Acquisition, Retention or Growth Strategy? CU officials and management have a fiduciary responsibility to identify, measure, monitor, and control concentration risk. Concentration risk must be managed in conjunction with credit, interest rate and liquidity risks; as a negative event in any category may have significant consequences on the other areas, as well as strategic and reputation risks. Concentration risk has increased in importance during the recent economic recession. Poor risk management of residential and commercial mortgage loan concentrations, in particular, is having an adverse effect on credit unions nationwide; resulting in significant loan losses, earnings deterioration, capital depletion, and increased credit union failures. The board of directors should establish a policy addressing its philosophy on concentration risk, limits commensurate with net worth levels, and the rationale as to how the limits fit into the credit union’s overall strategic plan. Take a global perspective when developing the policy, including identifying outside forces (such as economic or housing price uncertainty) which will affect the ability to manage concentration risk. The parameters set by the board should be specific to each portfolio and should include limits on loan types, share types, third party relationship exposure, etc. The risk limits should correlate to the overall growth objectives, financial targets, and net worth plan. The risk limits set forth in the concentration risk policy should be closely linked to those codified in related policies, including, but not limited to, real estate loan, member business loan, loan participation, asset/liability management (ALM), investment and liquidity policies. Any Concentration exceeding 100 percent of net worth must be monitored carefully, and the board of directors should document an adequate rationale for undertaking that level of risk. A CU needs sufficient net worth to accommodate aggregate risks, including those risks stemming from concentrations. 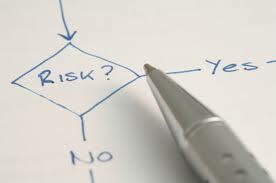 This represents the most important component of an effective risk management process. Outlining and then placing into writing a process for quantifying and measuring aggregate risks to net worth including unexpected loan losses and losses due to large changes in interest rates even if both sources of losses occur simultaneously. Incorporate other risks deemed relevant. Your Board should approve defined limits for managing risks to net worth. The process includes measuring these risks in aggregate on a quarterly basis and incorporates the entire financial structure, including all balance sheet concentrations. The process is also designed to be proactive so that potential changes in balance sheet mix, including potential concentrations, are tested in advance to ensure aggregate risks will stay in compliance with the Risk to Net Worth limit. It is important to note that risk triggers are designed to trigger conversation. The triggers are NOT limits. The trigger for growth only requires that the category is discussed to determine if additional analysis, limits or actions are necessary to ensure that the risks are understood. Its suggested senior management report on a quarterly basis the levels of risk concentration against the Board approved limits/triggers and changes in risk concentrations over time. This blog entry you have just read was written by Edward Lis, SVP CFO and Compliance. Edward B. Lis is a well respected credit union executive known by his peers as being decisive; a visionary; communicative; and energetic. He has led during difficult economic times driving change, achieving objectives, and effectively managing projects moving from a vision and strategy phase to implementation and final execution.